Giving you quick access to milk for use in your tea or coffee, these single use pots are perfect for catering and hospitality use. Featuring specially treated milk, this product is designed to last for much longer than regular milk, preventing unwanted spoilage. 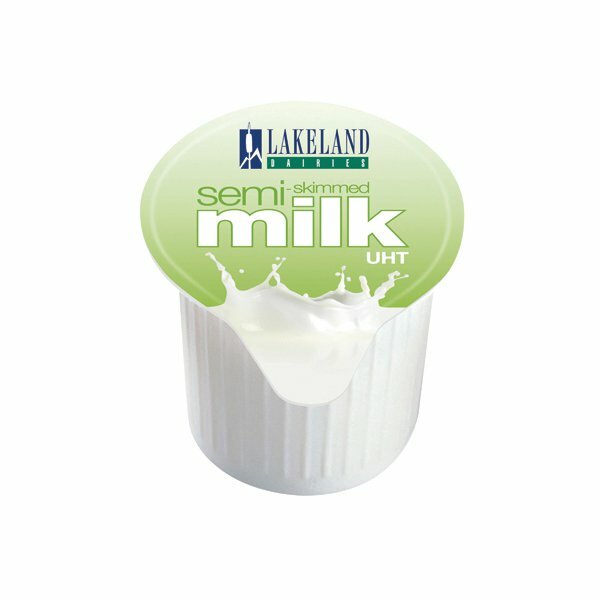 The small pots provide you with a perfectly sized portion to make a great cup of tea or coffee and also seal the milk in order to prevent contamination. This pack contains 120 pots of semi-skimmed milk. gill harding | cracking price of only 7.49 for 120 pots from britim. Recommend.